A recent Nielsen survey of consumers has shown more Millennials are doing gym-type activities than any other generation, making them our most important target market. 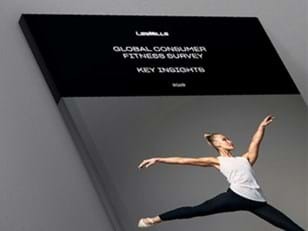 The Nielsen: Les Mills Global Consumer Fitness Survey (2013)1 reveals that more Millennials2 are now doing gym-type activities3 than any other generation. Millennials make up 48% of all 18+ regular exercisers who do gym-type activities, while Generation X comprises 32% of this market and Baby Boomers just 20%4. Les Mills Jnr, Program Director of the high-intensity interval training program LES MILLS GRIT™ Series, understands what Millennials are looking for. Having developed a fitness program targeting this age group, and being of this generation himself, he has valuable insights into attracting a Millennial audience. They don’t want to mill around in the weights room, or spend hours on cardio equipment. They want somewhere where they can show up and have someone push them hard without having to think about it - they need someone else to do the motivation work for them,” says Les Mills Jnr. Read more insights from the Nielsen survey. 1. 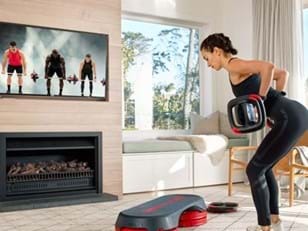 The Nielsen: Les Mills Global Consumer Fitness Survey (2013) questioned 4,600 adults over 18 who currently exercise, or have an interest in exercising, across 13 countries (including the United States, ten European countries, Brazil and Australia). 2. Millennials make up 48% of all 18+ regular exercisers who do gym-type activities, Generation X comprises 32% and Baby Boomers 20%. 3. Gym-type activities include fitness classes to music, indoor group training, yoga, pilates, dance, working out with a personal trainer, free weights, weight machines, cardio machines and boxing. 4. Millennial (18-34 years-old), Generation X (35-54 years-old), Baby Boomer (55+ years-old).